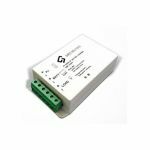 Suitable for all applications where you need to feed 230 Vac loads from a low voltage power source 12 Vdc. PWM Charge Controller for PV systems 12 Volt. Suitable to charge batteries GEL, AGM or acid via traditional photovoltaic panels 36 cells. Charges batteries in boats, RVs, cabins and shelters, warning systems. PWM Solar Charge Controller for 12V PV systems. Suitable to charge GEL, AGM or acid batteries via traditional 36 cell PV panels. Charges batteries in boats, RVs, cabins and shelters, alarm systems. Display programmer for charge controllers EP SOLAR LS-B. View the production data of the solar panel and charge state of the battery. Programme charge controllers to charge lithium batteries. Solar photovoltaic KITS ideal for recharging batteries in camper, boat, cabin, shelter etc. 2.4Kw 230V AC inverter with AC input MPPT 48V 60A 3000W, solar charge controller for emergency generator. Priority use of renewable energy sources (solar and batteries) and automatic exchange with generator or power grid in case the batteries are dead. 2,4Kw 230V AC Inverter with AC input MPPT 24V 25A 600W solar charge controller for emergency generator. Priority use of renewable energy sources (solar and batteries) and automatic exchange with generator or power grid in case the batteries are dead. 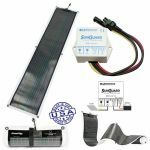 Solar KIT composed by monocrystalline photovoltaic 110 Watts panel and PWM 10A solar charger for all applications such as boats, camper, cabin, shelter in 12 Volt systems. Solar KIT composed by monocrystalline photovoltaic 100 Watts panel and PWM 10A solar charger... for all applications such as boats, camper, cabin, shelter in 12 Volt systems. KIT Fixing structures for 1 x 60 cell Photovoltaic Panel for Tiled Pitched Roof with vertical or horizontal arrangement. KIT Fixing structures for 2 x 60 cell Photovoltaic Panels for Tiled Pitched Roof with vertical arrangement. KIT Fixing structures for 3 x 60 cell Photovoltaic Panels for Tiled Pitched Roof with vertical arrangement. KIT Fixing structures for 4 x 60 cell Photovoltaic Panels for Tiled Pitched Roof with vertical arrangement. KIT Fixing structures for 5 x 60 cell Photovoltaic Panels for Tiled Pitched Roof with vertical arrangement. KIT Fixing structures for 6 x 60 cell Photovoltaic Panels for Tiled Pitched Roof with vertical arrangement. KIT Fixing structures for 7 x 60 cell Photovoltaic Panels for Tiled Pitched Roof with vertical arrangement. KIT Fixing structures for 8 x 60 cell Photovoltaic Panels for Tiled Pitched Roof with vertical arrangement.